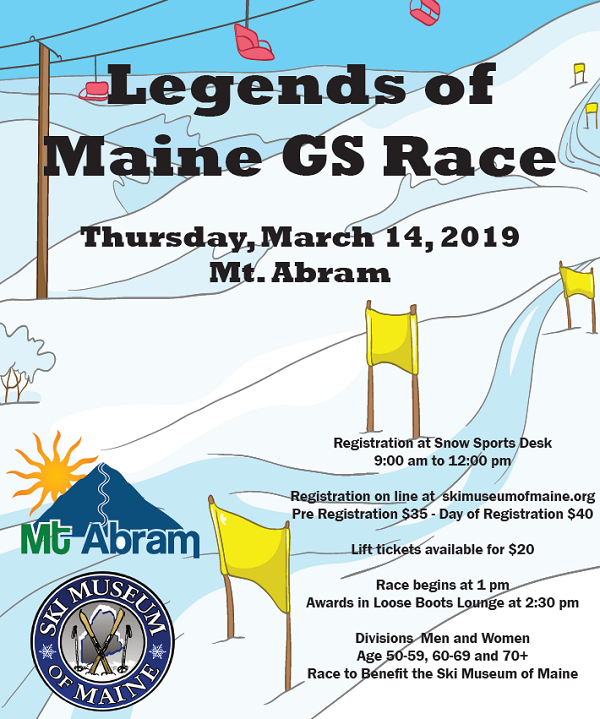 GREENWOOD - A Giant Slalom Ski Race to benefit the Ski Museum of Maine in Kingfield is scheduled for Thursday, March 14 at Mt. Abram Ski Area. 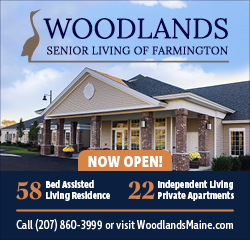 The race is open to men and women ages 50+. Divisions are Men and Women age 50-59, 60-69 and 70+. The race begins at 1 p.m. on the Boris Badenov trail at Mt. Abram. Registration is from 9 a.m. to noon at the Mt. Abram main lodge or in advance on-line at www.skimuseumofmaine.org Entry fee is $35 if pre-registered on-line or $40 the day of the race. Race day lift passes for participants are $20. Winners in each division will receive medals at the post race awards celebration at the Loose Boots Lounge.